Shirt is a good option for those women or teenagers who want to look stylish, fashionable yet modest and elegant. All you have to take care is to pair your shirt with the right kind of clothing. Due to the huge demand for women shirts and formal women wear around the world many women apparel manufacturing companies and fashion designers present a wide variety of women shirts and patterns every year. Today shirts come in huge variety and patterns that it becomes quite a task for women to select the right pattern and print to look fabulously stylish. Women and teens can wear shirts on every possible situation and yet can show their style statement. Shirts are well liked by women around the world because they induces hot and fabulous look if paired with right kind of accessories and clothing like nice looking blazer, jacket, women tights, trouser, skirt, neck scarf, purse etc. 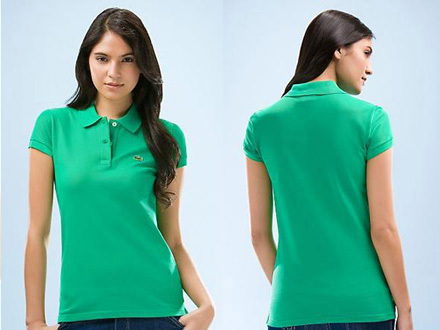 Shirts have the capability to make women look elegant, professional and trendy at the same time. Like men shirts come in wide variety women shirts too come with button front, collar and cuffed sleeves. Today shirts for women are so custom made that by paring with the right outfit women can maintain their professional look yet look modest. During the daytime shirts look great with flats or office boots but if you want to look more stylish in the night you can go for heels. Shirts are not limited to offices or colleges but you will be amazed to know that they are a great outfit to be worn on beaches too. Not only one can protect her skin from the scorching heat and brisk but it can make you stand out of the crowd. Compared to your flimsy blouse, shirt can be a better option for beach as it looks more stylish. In comparison to formal suit woman shirt is a good option because it provides you the freedom to pair it with a nice jeans or skirt with skin color women tights. You also need not to change your office boots as they already look great with shirts.